LOS ANGELES -- One man and two women died after attending a weekend rave in California headlined by Ice Cube, Major Lazer and dozens of other hip hop and electronic dance music performers. The three people were among nine hospitalized during last weekend's Hard Summer Music Festival in Fontana, San Bernardino County sheriff's spokeswoman Jodi Miller said. More than 146,000 people attended the Saturday-Sunday outdoor event at Fontana's Auto Club Speedway, according to organizers. The victims were identified as Derek Lee, 22, of San Francisco; Alyssa Dominguez, 21, of San Diego; and Roxanne Ngo, 22, of Chino Hills, the San Bernardino County coroner's office said. Lee and Dominguez died early Sunday and Ngo died early Monday, the coroner said. The causes of death were under investigation. "We were deeply saddened to learn about the deaths of three people who attended the festival this weekend," Hard Summer spokeswoman Alexandra Greenberg said in a statement. "While the causes of the deaths have not yet been determined, we ask everyone to keep them in their prayers. Our sincerest thoughts and condolences are with their family and friends." Hard Summer was moved to Fontana this year after two young women died of drug overdoses at last year's event at the Los Angeles County Fairgrounds in Pomona. The parents of 19-year-old college student Katie Dix recently sued event promoter Live Nation, Los Angeles County and others over Dix's death, which authorities blamed on multiple-drug intoxication. The death of 18-year-old UCLA student Tracy Nguyen was from an Ecstasy overdose, authorities said. The defendants have declined to comment on the lawsuit. Ecstasy is a popular drug at raves, where it's used to enhance the musical experience. It can lead to dehydration, however, causing concern among medical officials that its use in hot, crowded quarters where people sometimes dance for hours can lead to collapse and sometimes death. Temperatures in the Fontana area, 50 miles east of Los Angeles, have been in the 90s and one concertgoer said increased security at this year's event caused people to wait in line for up to two hours in the sun each day just to get in. "I think the venue they had it at this year wasn't that great," said 20-year-old college student Annabelle Muljana who has attended the last three Hard Summers. "All the different stages were really far apart so every time you wanted to check out a different artist you had to walk a long way in the heat. Also, the venue didn't have much shade. Everything was out in the open." Muljana said she didn't see any obvious signs of drug use but did see medical personnel treating one young woman who had collapsed in the heat on Sunday. She believed the woman was later taken away in an ambulance. 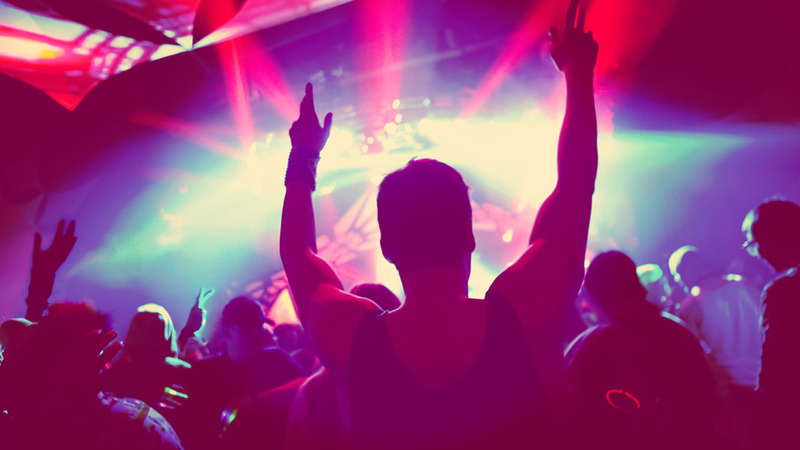 Some venues have banned raves in recent years amid mounting concern about overdoses. The popular Electric Daisy Carnival was moved to Las Vegas after the Los Angeles Memorial Coliseum stopped holding raves following numerous drug overdoses and other problems. The Cow Palace in San Francisco banned them in 2010. Hard Events, founded in 2007 by music executive Gary Richards, who also performs as DJ Destructo, has grown dramatically in recent years and branched out to include hip hop as well as electronic dance music, or EDM. Ahead of last weekend's rave, Hard Summer officials posted a lengthy list of safety warnings on its website for people attending this year's event. They urged people to stay hydrated, take regular breaks from dancing and monitor themselves for any signs of heat exhaustion. The warnings also said illegal drugs would not be tolerated and that people bringing prescription drugs would have to check them with medical authorities. "Our number one main concern is your safety," the warning said.